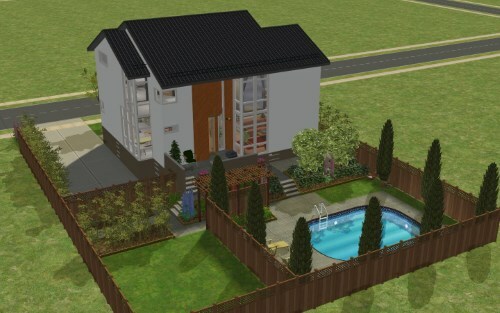 I've finally gotten off my lazy duff and started uploading my Lots to Sims File Share. Those of you who may have downloaded some of my stuff off MTS a few years ago, I can tell you that I've updated just about every Lot, many of them substantially and some of them drastically. 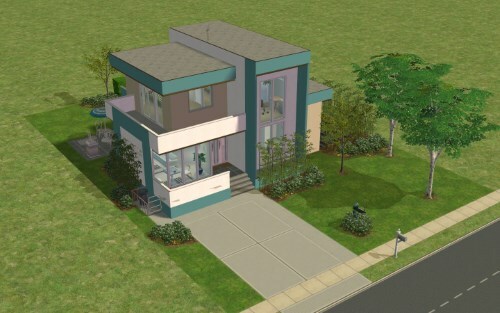 Most of my Lots tend toward a contemporary/modern style. 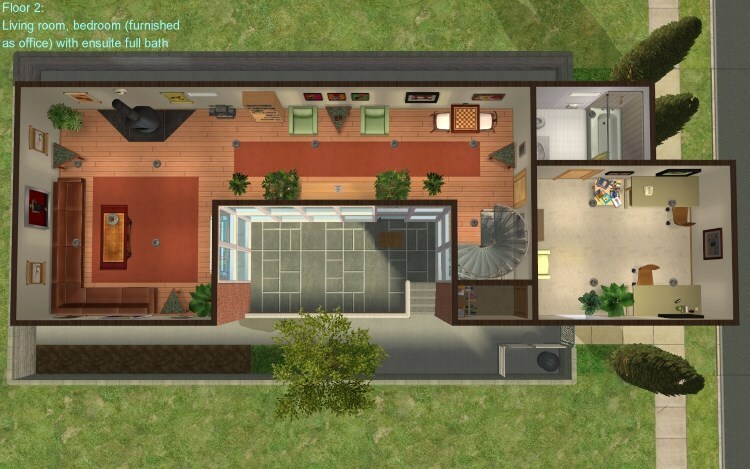 I carefully furnish just about all of my houses, but do so only as a suggestion and to make sure that the layout is playable with Maxis furniture. I entirely expect and indeed encourage players to replace the Maxis furniture with better-looking and in many cases more functional custom furniture of their own choosing. I'm a Sims Lot builder, not a Sims interior decorator. In fact, I don't particularly enjoy interior decorating. 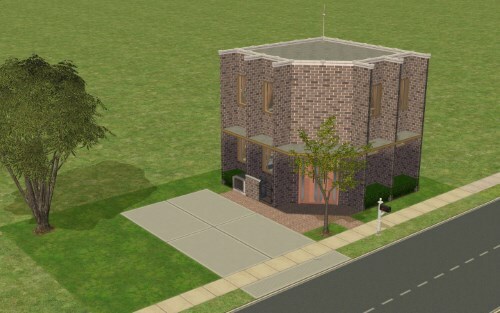 All my Lots are tested, functional and have never been occupied by any Sims. I package all my Lots using Mootilda's Clean Installer. Being mainly a Lot builder I don't have much custom content in my game. I limit myself to a relatively few build objects or sets that have the most dramatic aesthetic and/or functional effect. A substantial number of my Lots that do have custom content, only use Numenor's CEP Color Enable Package. 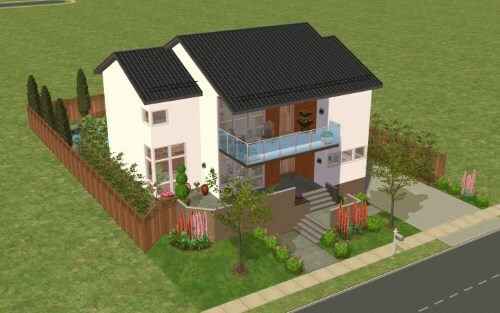 I have only a small handful of mods in my game, compared to most people still playing this game, including mostly things that I need to concern myself with as a Lot builder, such as the mod that prevents Sims from using garage doors as entrances, a "perfect plants" mod that prevents them from having to be trimmed (one of Maxis' truly dumber ideas, in my opinion), a mod that prevents doors from sticking open due to overhead lights and nearby wall-mounted objects, rotatable driveway and garage door mods, Pescado's apartment hack package that allows the renting of furnished apartments, a mod that allows Sims to watch TV from different angles, and a few "Scriptorium" scripts, including one for placing custom stairs. I have all TS2 Expansions and Stuff Packs and I don't keep track of which objects come from which EP or SP in any given Lot. I will include relevant pictures and a README notepad file with every upload. These next three are rebuilds of other creators' Lots. Credits and links are given in the attached READMEs. They are of course built from scratch on new lots. It is the last of these that requires the CEP mod. ReduxBGTears-1+BR: A full-game rebuild of a recent beautiful base-game build by QBUILDERZ. CC-free. ReduxLookingGlass-1+BR: A rebuild of a pretty little Victorian by lidiqnata. CC-free. That's it for now. I'll be uploading many more in the weeks and months to come, and I will add them here to this thread. Added three more Lots. 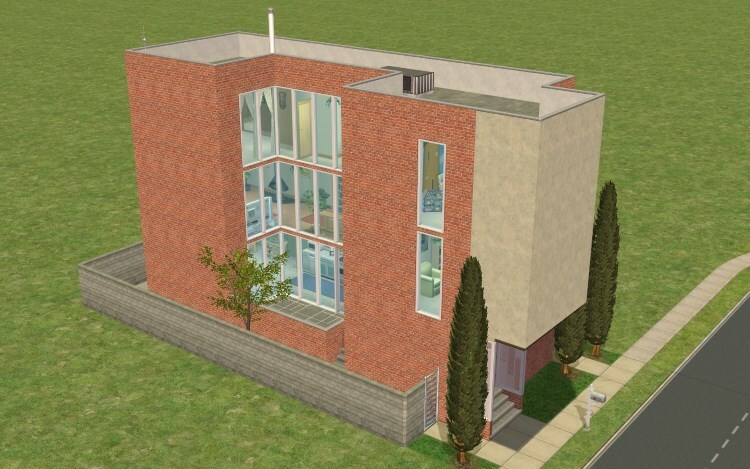 Two of them are conversions of Sims 3 lots. Credits to the original builders are in the READMEs. 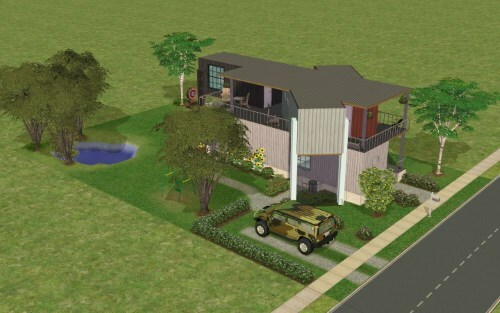 3T2#04-1BR: This is a Sims 2 conversion of a small Lot originally made for Sims 3, by Mimoliin. The zip file includes four versions - left and right fully furnished versions and left and right starter versions. Two of these are CC-free, although the invisible driveway recolor is optional, and the other four only require Numenor's Color Enable Package. Brutalist#01-2Br: A modern/pre-fabricated house in the Brutalist style. 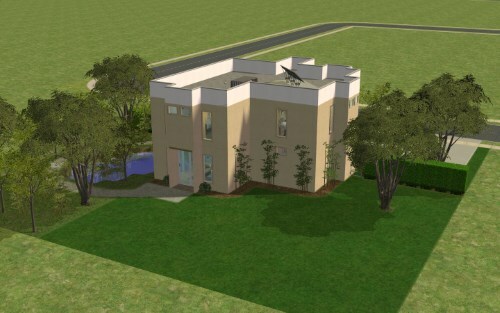 Brutalist#02-3BR: A modern/pre-fabricated house in the Brutalist style. Brutalist#03Starter-1BR: A modern/pre-fabricated house in the Brutalist style. 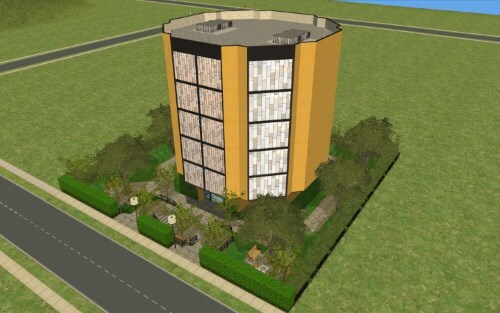 Brutalist#04-1BR: A modern house built in the Brutalist style. 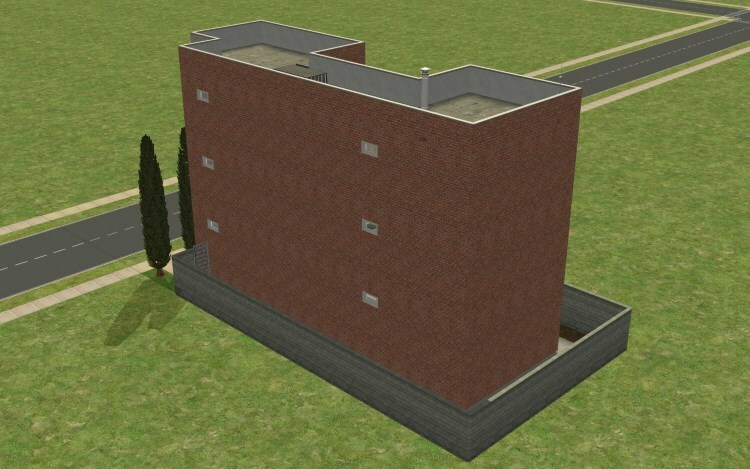 Brutalist#05-1BR: A modern house built in the Brutalist style. 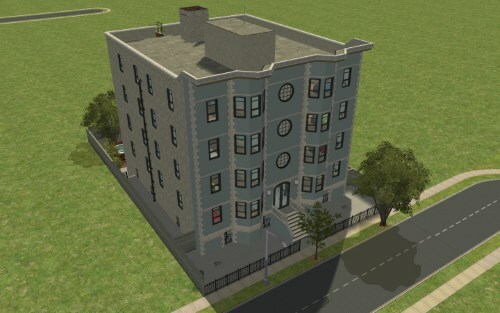 This is an oddly-shaped townhouse, which nevertheless turned out great. The original design is by gagafanu, at MTS, although he no longer has his version uploaded there. The house features three bedrooms, all with ensuite full baths, an additional half-bath, a playroom/nursery, several gardening plots and even an indoor swimming pool in the basement. That's a lot of house considering the tiny 10x20 lot size. All of it tested and perfectly functional of course, as always. There are some changes from the upload I had on MTS previously. 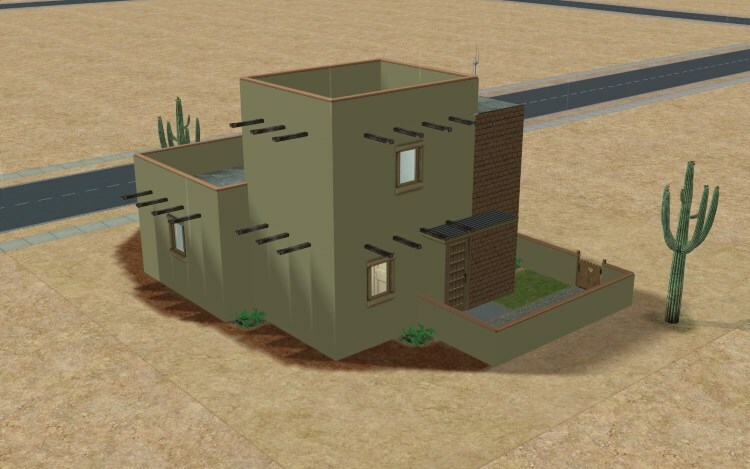 Desert#01Starter-1BR: An adobe-style desert starter home. 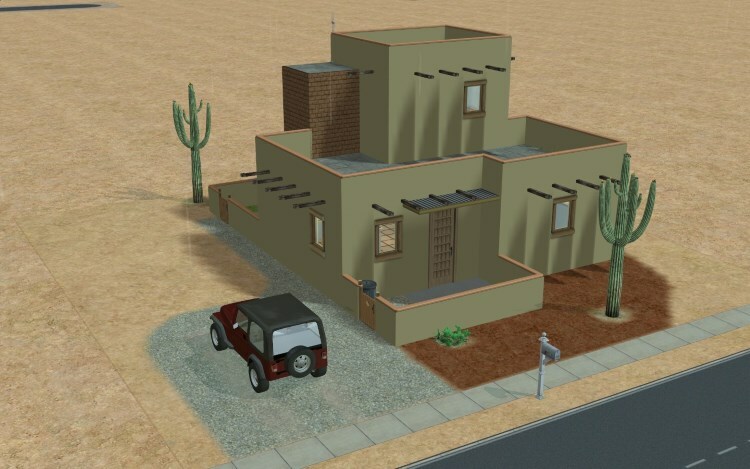 The second of my uploads today is an adobe-style desert starter house. I've changed a couple of minor things since the time I had this uploaded to MTS a few years ago. The Lot features several harvestable prickly pear cacti. 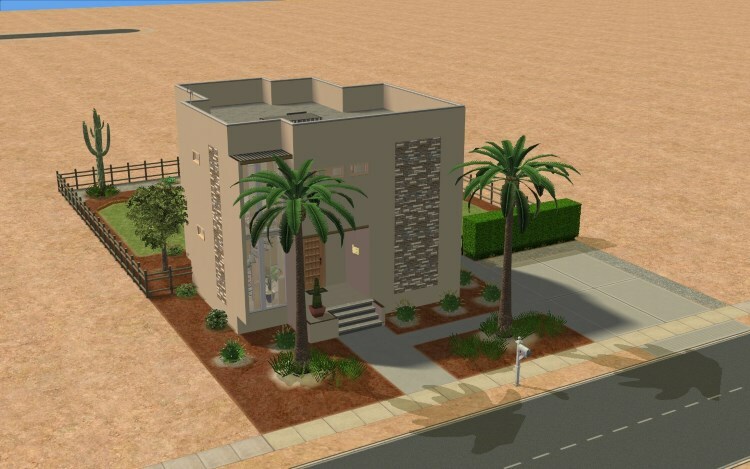 Desert#02-2BR: A contemporary-styled desert house. That's it for today. Many more to come in the near future. Thanks, and enjoy.